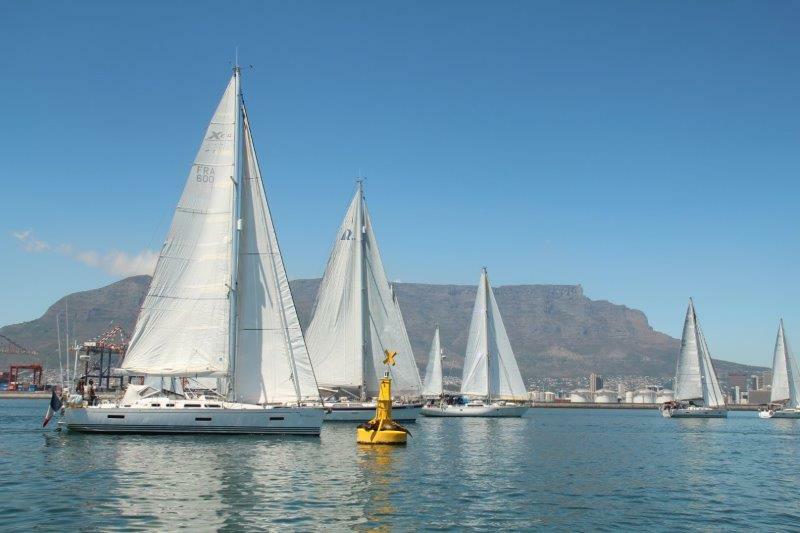 Cape Town's iconic Table Mountain provided a picturesque backdrop as the WORLD ARC fleet 2018-19 say goodbye to South Africa and set sail for Leg 15 to St Helena. The southern Atlantic ocean will be the final ocean crossing and after enjoying South Africa for nearly two months, crews were eager to get back out to sea. 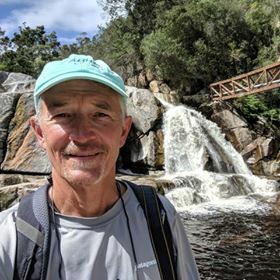 Feeling accomplished with both the vast Pacific Ocean and daunting Indian Ocean passages completed, this final ocean crossing to Brazil marks the "home stretch" of the round the world voyage. The remaining 4 months will be very busy as the fleet explores the remote island of St Helena, Brazil and the Caribbean draws closer. Upon arriving in Richards Bay, crew members certainly made the most of their time in South Africa. So much to choose from and plenty of time to explore. The coastal province of KwaZulu Natal, KZN, is known for its beaches, mountains and big game parks. Many crews ventured out on their own for safari experiences. 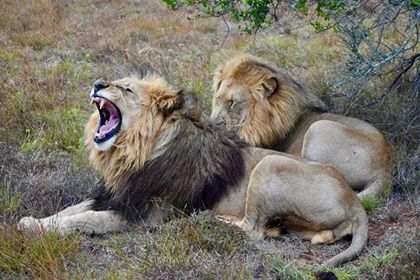 Cayuse and Smoke & Roses returned to the Hluhluwe iMfolozi Park to get up close and personal with Black and White Rhinos, lions and giraffes. 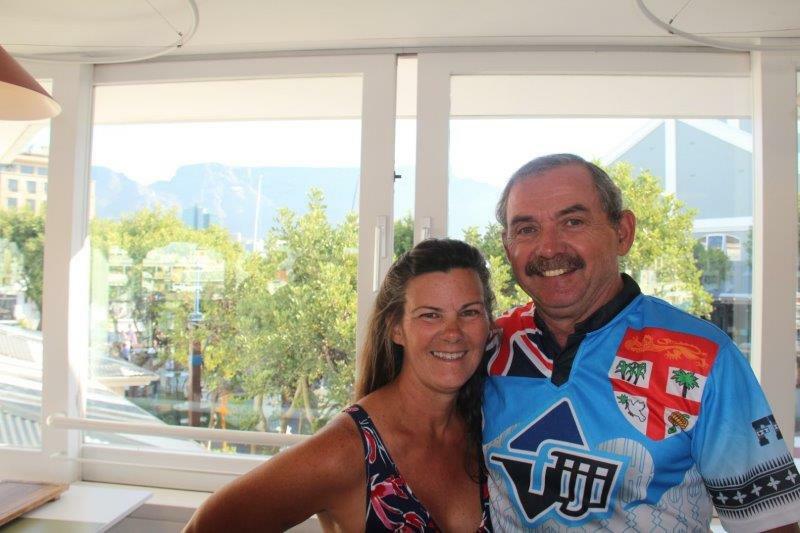 The South African coastline is "not for sissies" as the Zululand Yacht club's t shirts remind us and passage planning is critical, with a keen eye on ever changing weather systems. The notorious Agulhas current allowed many yachts to record their fastest boat speed ever. A landmark in their circumnavigation, sailing around the Cape of Good Hope was another achievement for the fleet. Blue Pearl and Emily Morgan took the direct route sailing all the way from Richards Bay to Cape Town in one shot with a forgiving weather window. 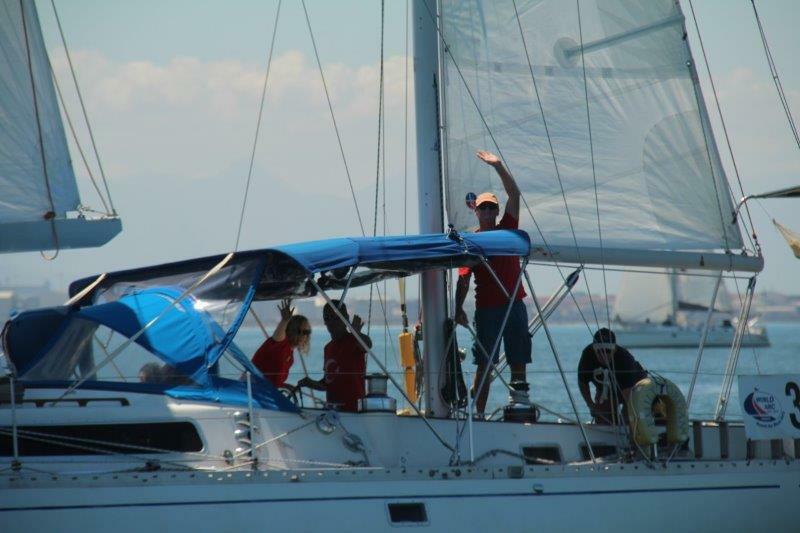 Most the rest of the fleet stopped in different locations on their way to Cape Town, including Durban, East London and Mossel Bay. 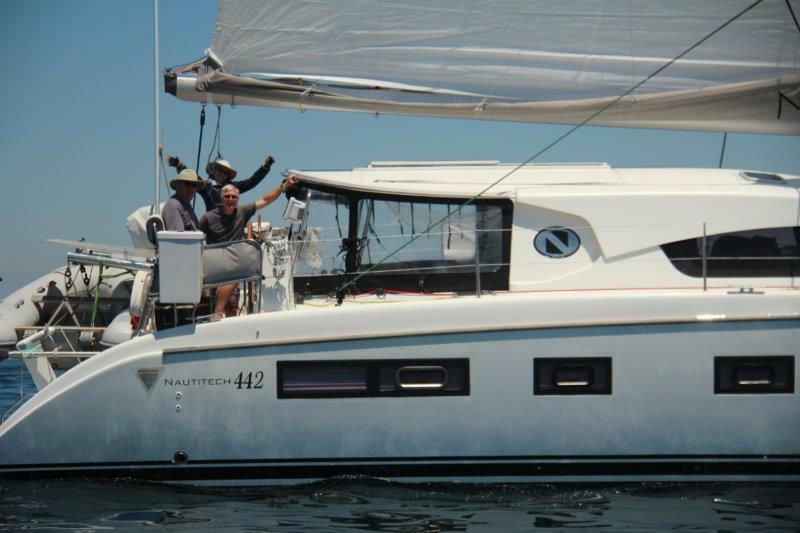 Hiking along the garden route, wine tasting in Stellenbosch and Franshoek and shark diving in icy waters are just some of the fun activities the fleet found. 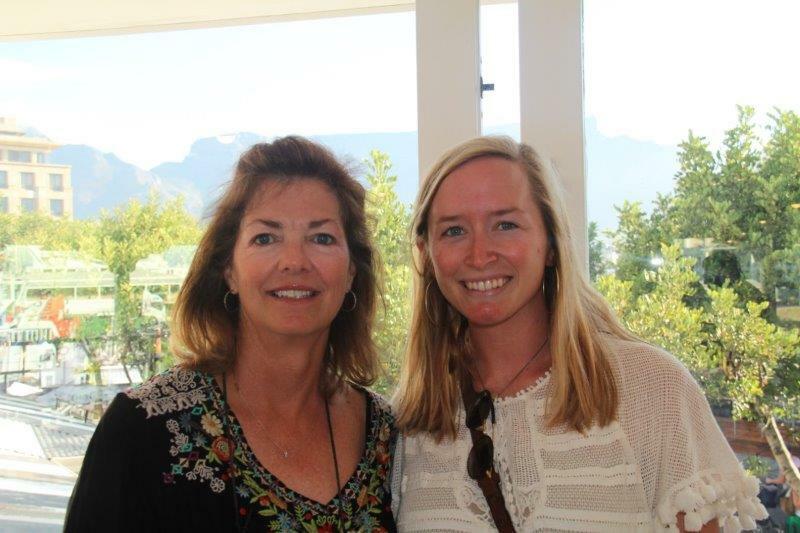 The extended stopover allowed ample time for crews to fly home for the holidays, or have family come join in Cape Town. Others chose African adventures outside SA. Air Power and Callisto enjoyed the train route up to Victoria Falls. 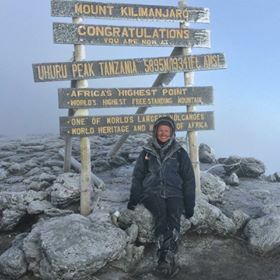 Brita from Blue Pearl explored Zanzibar and Tanzania- she even climbed Mt Killamanjaro! 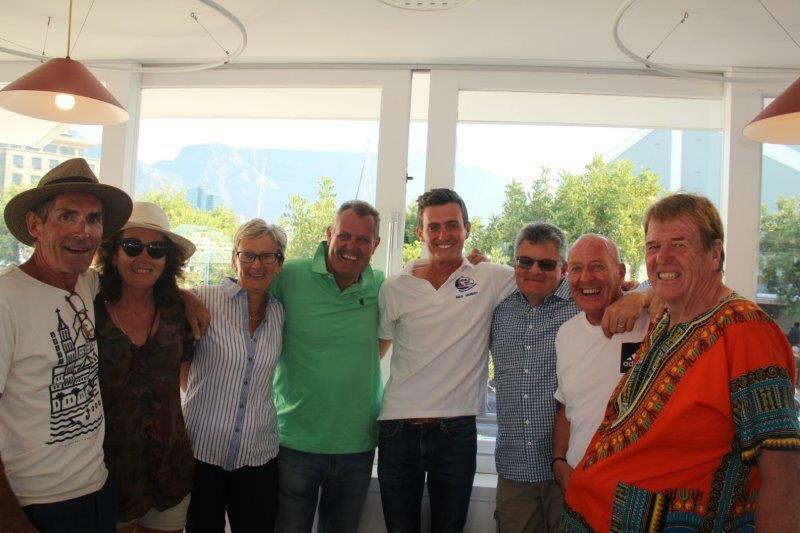 The fleet organized a Christmas Eve dinner on the pontoon and rang in the New Year on the docks of the festive V&A waterfront. 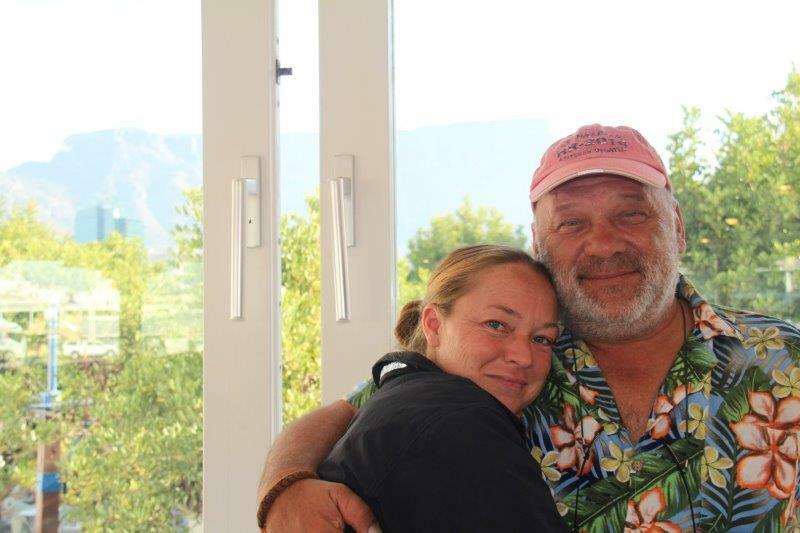 Across the fleet, the warmth of the South African people was a true treasure that crews will keep with them forever. 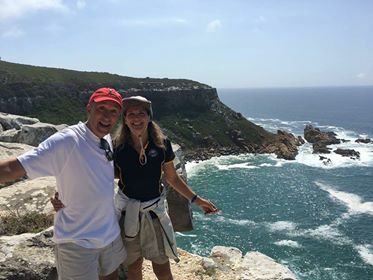 Angela from Madrigal remarked "I am suggesting to all my friends back home in America - skip your Disneyland holiday this year, bring your family to explore the incredible natural beauty and culture of South Africa!" 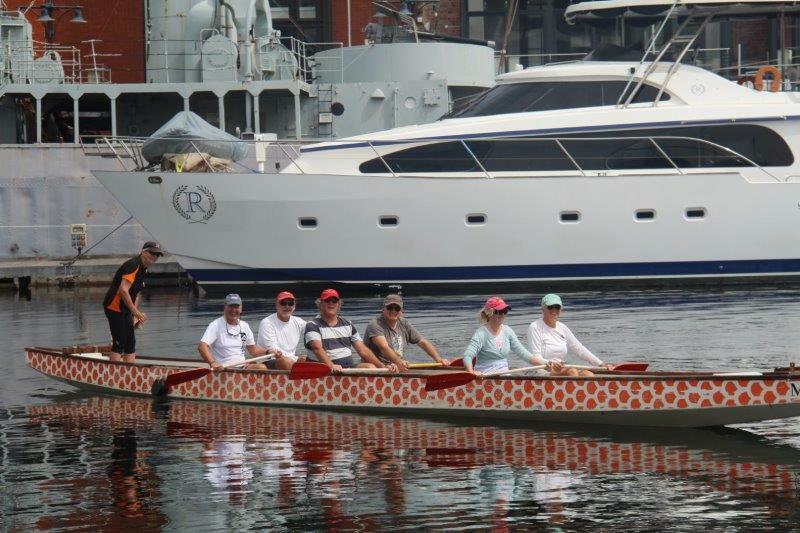 Much thanks to the Royal Cape Yacht Club for providing the Race Committee Vessel and the V&A Waterfront for hosting the fleet. Truly magical memories made in the Mother City!